This afternoon, Alyssa Rosenberg announced in The Washington Post that she will no longer attend advance screenings of any Disney-released films, including those from Lucasfilm, Marvel, and Pixar. Her boycott is an expression of solidarity with The Los Angeles Times, whom Disney recently banned from all advance screenings of their movies as a purely vindictive response to an investigative piece it published on Disney’s relationship to the city of Anaheim. It’s a dangerous precedent that Disney is setting: Write an unfavorable story—one that Disney hasn’t disputed factually, even—and it will blacklist your publication, punishing independent journalism by using its massive corporate influence. And it’s one that we similarly can’t abide. The A.V. 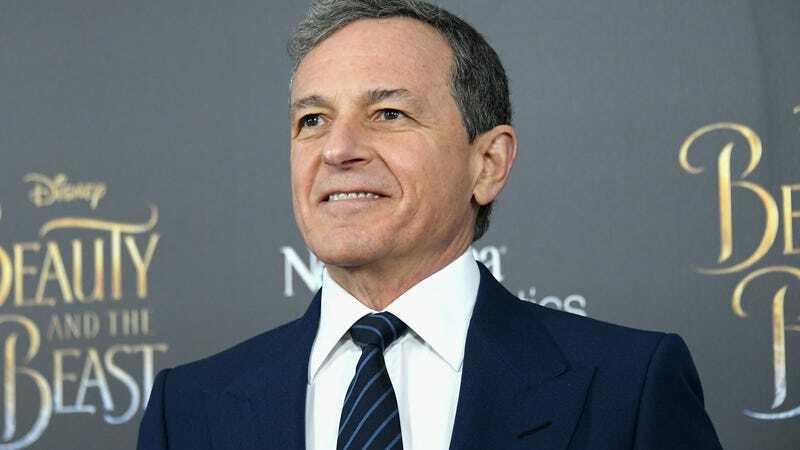 Club will follow Rosenberg’s lead and—effective immediately—we will refrain from attending any press screenings of Disney movies, at least until the company rescinds its ban on The Los Angeles Times. Like Rosenberg, we will still be writing about Disney releases, like the upcoming Coco, Black Panther, and Star Wars: The Last Jedi. But we’ll just be seeing the films the way everyone else does—by buying a ticket to a public screening on opening weekend—then writing and publishing our reviews a little later than normal. Ideally they’ll run on Thursday night or, more realistically, sometime on the Friday of release. As Rosenberg points out, film criticism is a competitive industry, one where survival depends, at least in part, on speed. Critics who don’t attend press screenings are at an automatic disadvantage, because they’re forced to publish their reviews later than others. In the case of Disney, this puts them behind the curve on many of the year’s biggest movies. As we see it, that’s all the more reason to stand with The Los Angeles Times, Rosenberg, Flavorwire, and any other critic or publication that doesn’t want a major corporation like Disney exerting its pressure on writers and suppressing stories of which it doesn’t approve. Now more than ever, journalists need to be united in combating these kinds of attacks. We’re proud to join them.